I his finch of the northern coniferous forests has a hill with crossed tips, with which it parts the st ales of larch cones and frees the seeds. It forms roaming flocks in winter. • NliST A cup of grass stems and tw igs, placed in a small conifer tree. America, N. Eurasia, and llispaniola. Southern limit of winter range varies from year to year. Distinctively colored and thickset, with a big bead and stout bill, this woodland finch is immediately recognizable. It utters piping call notes. 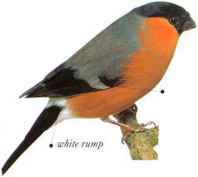 Bullfinches feed on fruit and flower buds, often causing extensive damage by eating the buds of orchard trees. 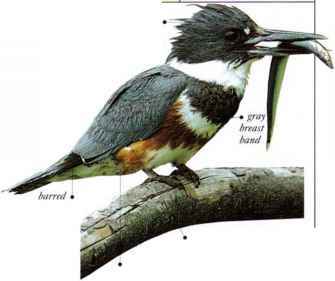 • NEST a shallow cup nest of twigs, lined with fine roots, and placed in a thick bush. Europe anil a band across C. Asia to the Pacific.